Stealing a car or committing other vehicle-related criminal acts in North Carolina are very serious crimes that can result in harsh penalties. You would most likely face felony charges and could be sentenced to a lengthy prison sentence if convicted. In addition, you would have a permanent criminal record that would affect your ability to obtain a good job, loan, scholarship, housing, and much more. Unlike other states, North Carolina does not have a grand theft auto crime that people are charged with committing if they steal a motor vehicle. Instead, these crimes are charged under North Carolina’s general larceny laws. Under our state’s criminal statutes, larceny is the taking of a person’s property—in this case, a motor vehicle—without his permission with the intent of permanently depriving him of it. An individual can be charged with a misdemeanor or felony crime depending on the value of the property that is stolen. If the stolen auto’s value is $1,000 or less, the crime is a Class 1 misdemeanor. If the value is above $1,000, the larceny is a Class H felony. A person can also be charged with felony larceny if he possesses or receives a stolen vehicle. However, under G.S. § 20-106, it is a Class H felony to possess, receive, or transfer a vehicle that a person knows or has reason to know is stolen no matter what its value. This means that an individual charged with auto theft in Charlotte will almost always be charged with a felony. Larceny of a motor vehicle part. It is a Class H felony to steal a motor vehicle part or piece of it valued at $1,000 or more. The cost of replacing the part and the labor to install it are both factored in when determining if the $1,000 threshold value is met. Joyriding. The crime of joyriding is committed when a person takes another’s motor vehicle without permission to and engages in unauthorized use of it. It is different from the crime of larceny in that there is no intent to permanently deprive the person of his vehicle. Joyriding is a Class 1 misdemeanor. Larceny of motor fuel. It is a Class 1 misdemeanor to steal motor fuel valued at less than $1,000. If a person is convicted of this crime more than once, his driver’s license may be revoked. Carjacking. Just like there is no separate crime of auto theft, there is no separate criminal offense for carjacking. It is charged under North Carolina’s robbery laws and is generally a Class G felony. What Penalties Could You Face If Convicted of an Auto-Related Offense? Class 1 misdemeanor. The maximum penalty is 120 days in jail and a fine with no maximum amount that is set by a judge. Depending on your criminal history and other factors, you could face less severe penalties that do not involve a jail sentence. Class G felony. The sentencing range for a Class G felony conviction is between 8 and 31 months in prison. Class H felony. If convicted of a Class H felony, you may be sentenced to between 4 and 21 months in prison. Are You Facing Auto Theft Charges? 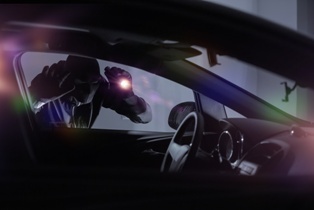 If you have been charged with auto theft or a related crime, it is extremely important to retain an experienced criminal defense attorney in Charlotte. Our dedicated lawyers have years of experience fighting for the rights of those charged with these offenses and other crimes in North Carolina. To learn how we can help you mount a strong defense to the charges you face, call our office or fill out our online form to schedule a free consultation today.